Applications composed of microservices in containers on distributed resources hardly look like their monolithic ancestors from just a few years ago. Yet, no matter the architecture, IT operations support must quickly identify and rectify any problems in production. If you’re still set up for monolithic app monitoring and support, you could be poorly equipped for the microservices-based future. 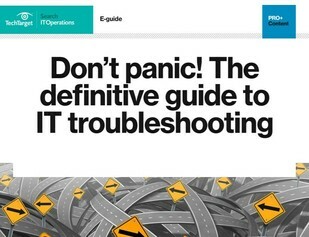 On page 41 of our IT troubleshooting guide, find an article titled “Ensure Container Monitoring and Control Via Smart Tooling” that will describe how you can gain the skills you need to monitor and manage container and microservices-based apps. Click here to save as a PDF.